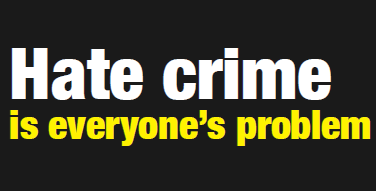 Warwickshire Police has today made a commitment to provide all victims of hate crime with a ‘personalised service’ with the launch of a new hate crime strategy. The new strategy clearly sets out the role police officers and staff will play in responding to and investigating hate crimes and the service victims can expect. The strategy also makes specific mention of Islamophobic hate crime for the first time with a direct reference to the Tell MAMA campaign that aims to address and monitor offences against Muslims. A new hate crime section has been set up on the Warwickshire Police website to support the publication of the new strategy. This contains a wealth of information for victims of hate crime and organisations involved in tackling hate crime. The new area on the website includes details of the various ways of reporting hate crime, details of the service victims can expect, links to a range of hate crime materials, contact details for support groups and details of local hate crime priorities. Hate crime, both locally and nationally, is under-reported, with an estimated half of all offences not being reported to police. Over the past two years the alliance has worked hard to increase awareness of hate crime and give more victims the confidence to come forward. This, along with improvements in recording hate crime, has led to an increase in reported cases. Chief Superintendent Charles Hill said: “Despite a steady increase in the reporting of hate crimes in recent years we know that they are still under-reported and this is why we felt it was important to set out exactly what victims can expect when they contact the police. “From the moment a victim of hate crime contacts the police they should have the confidence that they will receive the highest levels of service. This new policy clearly identifies the roles that officers and staff have to play at each stage of a hate crime investigation. “Through this strategy we are aiming to ensure that we provide the highest standard of investigation, service and support to victims of hate crime. We’re also actively encouraging victims of hate crime to hold us to account; we’re setting high standards and we want to ensure we’re meeting them. “We welcome the increased reporting in hate crime in the county in recent years because this shows that more victims are having the confidence to come forward and report their ordeal to police. However, each of these numbers represents someone who has been targeted because of who they are and this is wrong. Warwickshire Police and Crime Commissioner Philip Seccombe said: “I’ve seen for myself how seriously Warwickshire Police is taking hate crime and this new strategy is the latest evidence of that. I hope it will give renewed confidence for more victims to come forward to receive help and support and, just as importantly, to help the police bring offenders to justice.